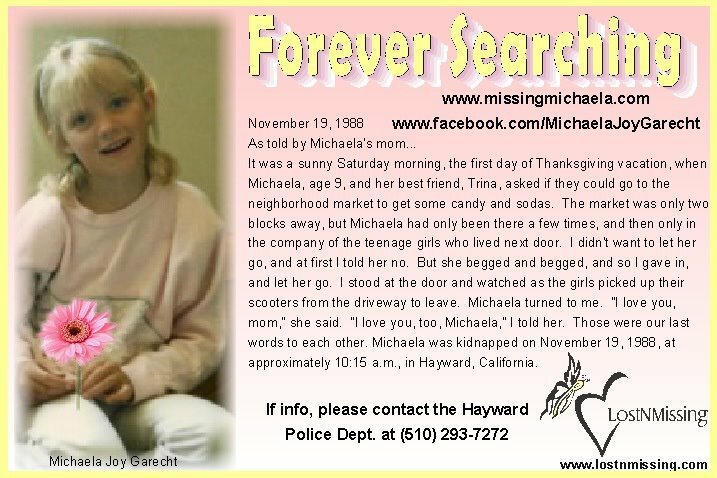 This is a beautiful poster of Michaela. I love this photo of Michaela, so happy and carefree. Please feel free to copy this and share it with others. And to Michaela … I love you forever.